So I love a good Aperol Spritz. It’s light and refreshing and soop eazy to sip on… but I have never made them at home using the traditional recipe. 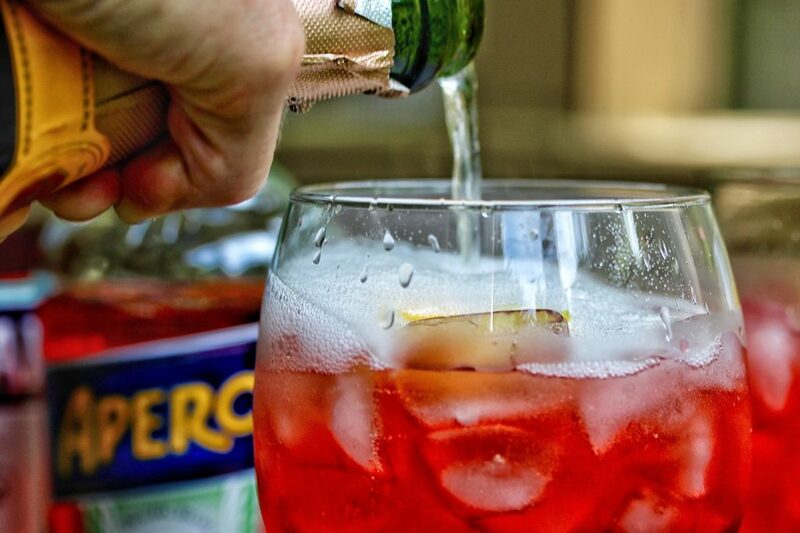 The Aperol Spritz is an Italian wine based cocktail traditionally served as an *aperitif… it began in the Northeast part of Italy and spread to… like, everywhere now. The traditional recipe is basically a half and half combo of Prosecco and Aperol, with a splash of soda and garnished with an orange slice. It’s light, low-ish in alcohol with a soft, citrusy wink to it. Prosecco is Italy’s sparkling wine… generally much more fruit forward than any other brut sparkling wine would be. The bubbles are lighter and more playful and it’s a fairly delicate sparkler. It is not my favorite category of bubblies. I have had very, very nice prosecco and enjoyed it immensely. One cannot find very, very nice prosecco easily. In a traditional Aperol Spritz… with the great amount of residual sugar in your standard prosecco, I was just not enjoying the sweet on top of sweet once the Aperol came to the party. 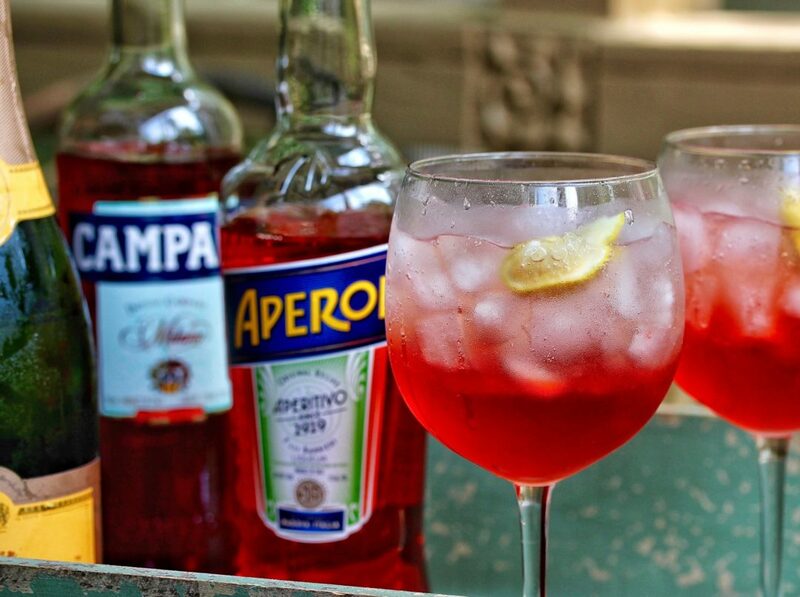 So, I’ve always made my Aperol Spritz’s with cava instead of prosecco! 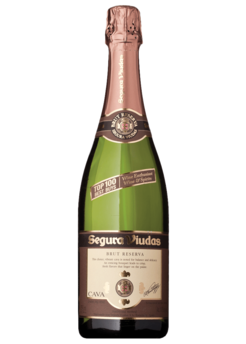 Cava is Spain’s sparkling wine and traditionally much, much drier. Like, sometimes notorious for being so dry it’s almost flavorless. It’s what I use for my mimosas and serve at my cocktail parties. It’s cheap, dry, crisp, easy to blend and also to sip on it’s own. 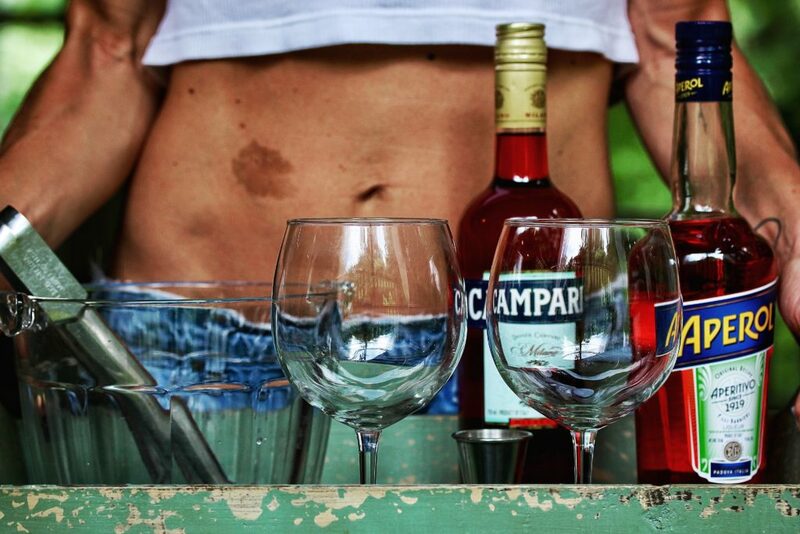 Campari, another Italian aperitif, is just a heck of a lot more (delightfully) bitter than Aperol. And frankly, I thought the cocktail needed a little zazz. Oh, I also thought a lemon was better than an orange, since it had more of that zazziness I was searching for. Right. Yes. Also I eliminated the soda water from the cocktail. Feel free to add some to make your cocktails stretch more and so you can have more of them. This summer cocktail is so yummy. Perfectly balanced. A little sweet, a little tart, and lots of bubbly fun. Fill your glass of choice with ice (mine is a bubble wine glass, but you do you, boo). 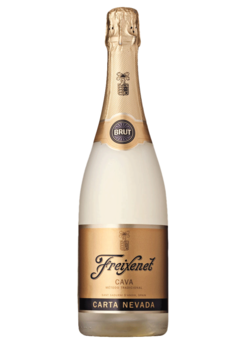 Pour in 4 oz Cava (brut only allowed). Wait for the fizz to settle. Squeeze a fat lemon wedge inside and toss that sucker in. Stir gently, but intently… don’t wanna fuss the bubbles, but those red juices wanna settle at the bottom, so get ‘er done. Sip and repeat as needed. Most any cavas in the $10-$15 range would be perfect here. But my easy-to-find rec’s are…. I’ve been making Negronis with Aperol–and celebrating the rule-breaking (and the welcome rhubarb bitterness) with a bit of rhubarb-softened-in-simple-syrup!